Located less than two blocks from the beach the Hampton Inn Monterey offers guests modern rooms at a great price with the attractions of Monterey practically at your fingertips. Overlooking a small lake the three-story Hampton Inn provides 48 non-smoking rooms with free Wi-Fi and premium cable TV. Rooms are also equipped with refrigerators coffee makers and hair dryers for your convenience. The hotel offers free parking to guests but pets are not permitted at this property. Guests are invited to the hotel's complimentary continental breakfast served each morning in the atrium-style lobby. 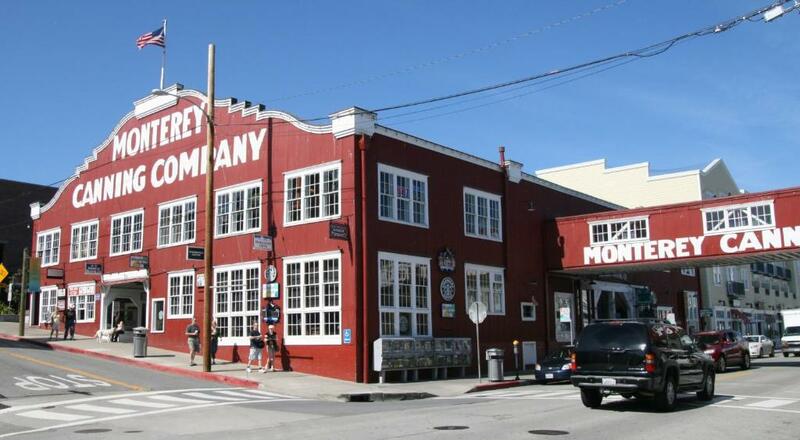 The Hampton Inn Monterey is close to many Monterey attractions including Fisherman's Wharf just one and one-half miles from the hotel and Cannery Row three miles away. The 17-Mile Drive a scenic road that hugs the Pacific coast and passes famed golf courses and palatial mansions is four miles from the La Quinta; Carmel by the Sea is five miles. Monterey State Historic Park which honors old Monterey California's capital under Spanish and Mexican rule is ten minutes away by car. It's just three miles to the Monterey Peninsula Airport. Close to everywhere you want to be at a price that will not break the bank the Hampton Inn should be the first stop you make in Monterey.